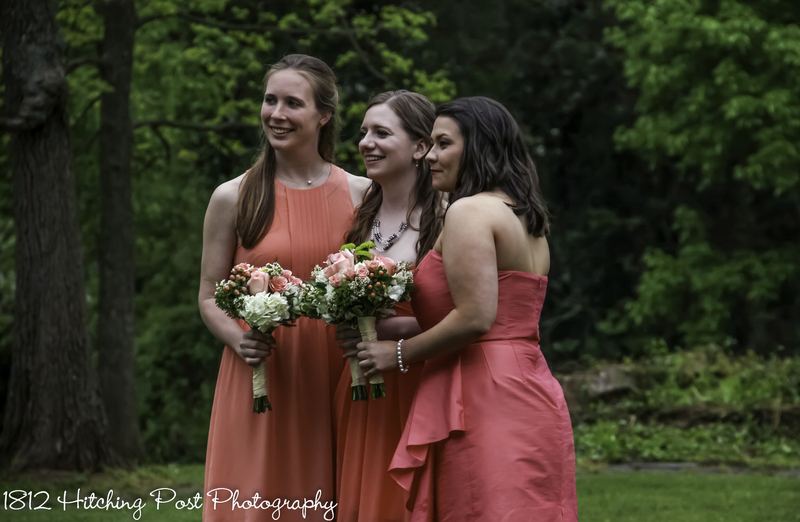 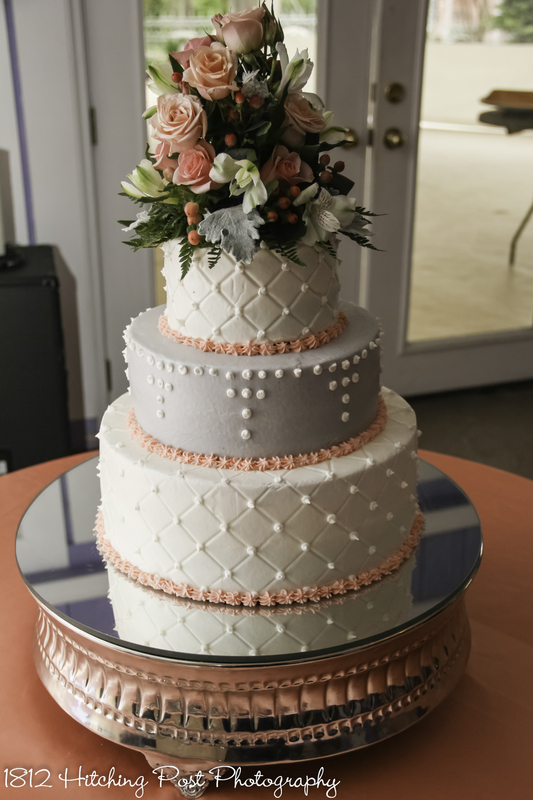 Tyler and James had a lovely wedding featuring the colors of coral and gray and elements of nature for their April outdoor wedding with 120 guests. 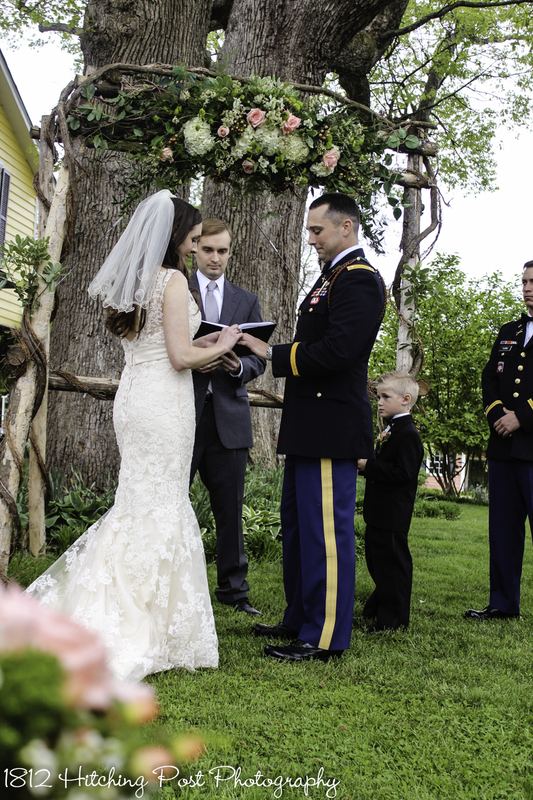 Their 4:30 p.m. ceremony was officiated by Lars Hankin, a friend of the couple. 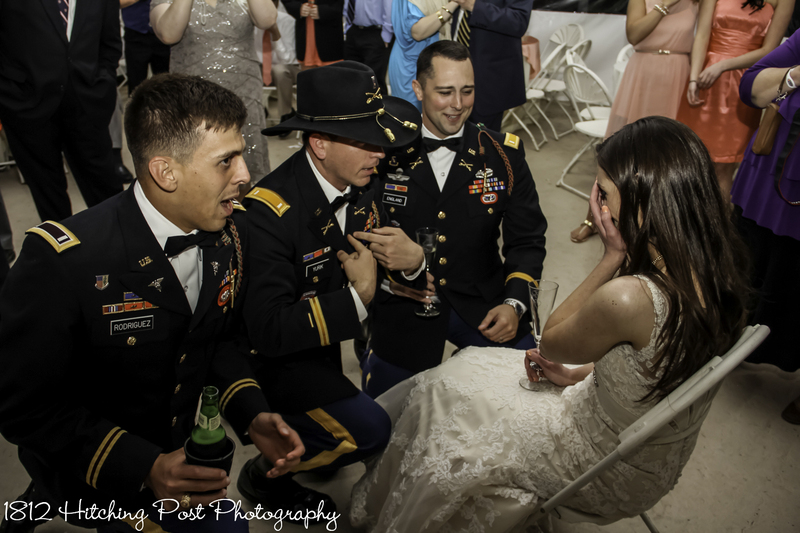 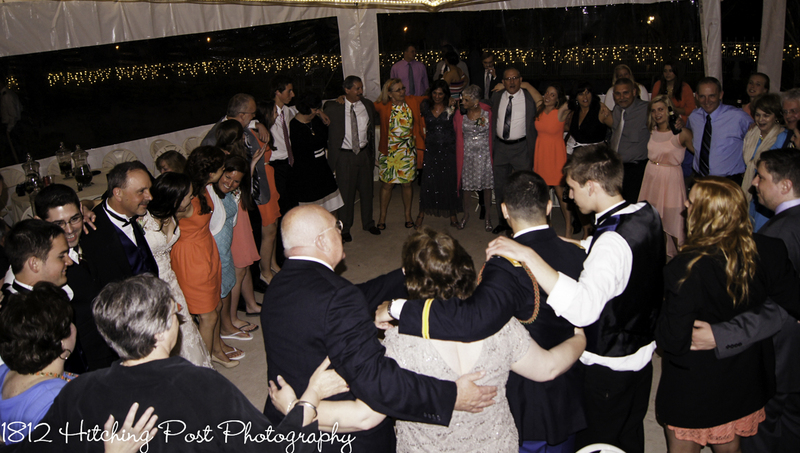 One of the fun points was during the garter removal when the groom and groomsmen “serenaded” the bride. 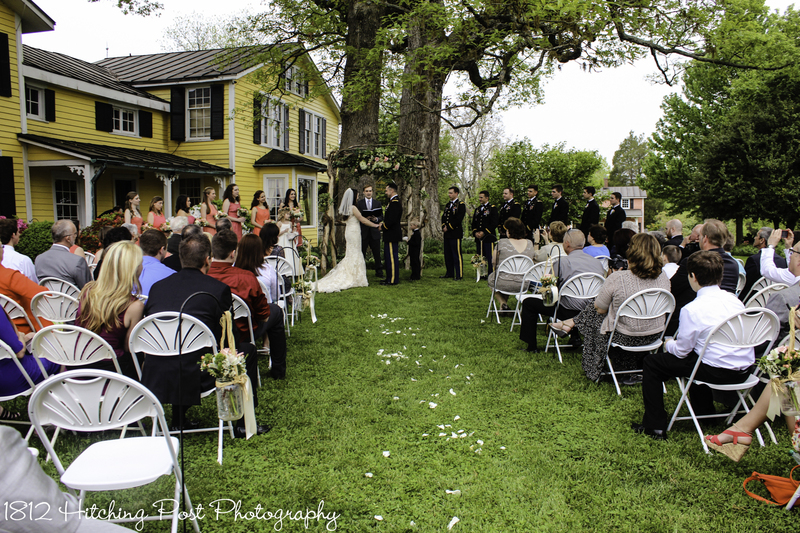 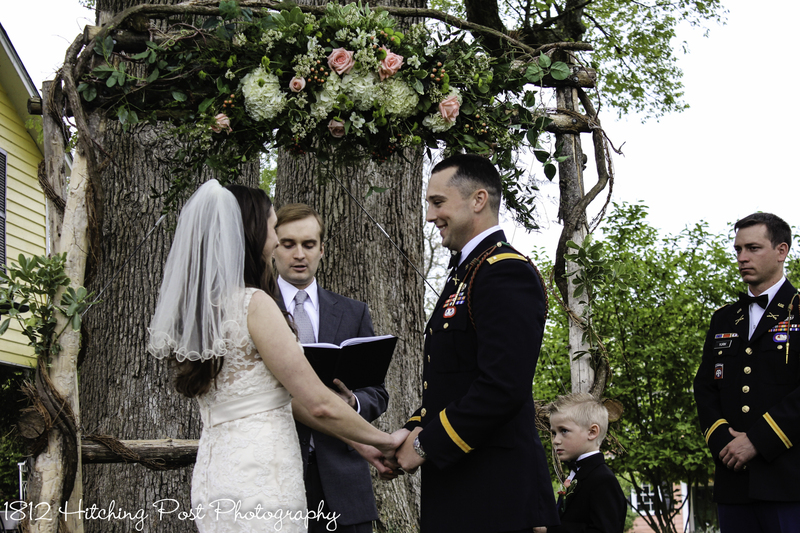 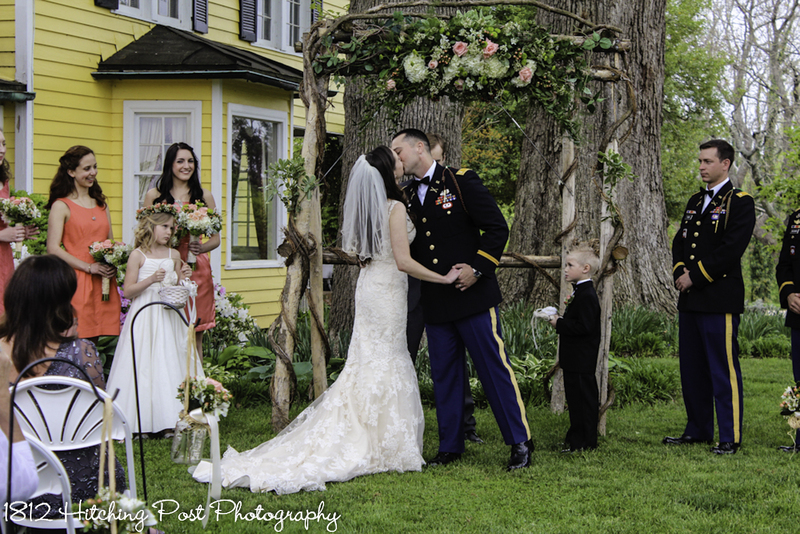 Ceremony: The 1812 Hitching Post’s natural wood arbor was decorated with live flowers provided by Cline’s florist. 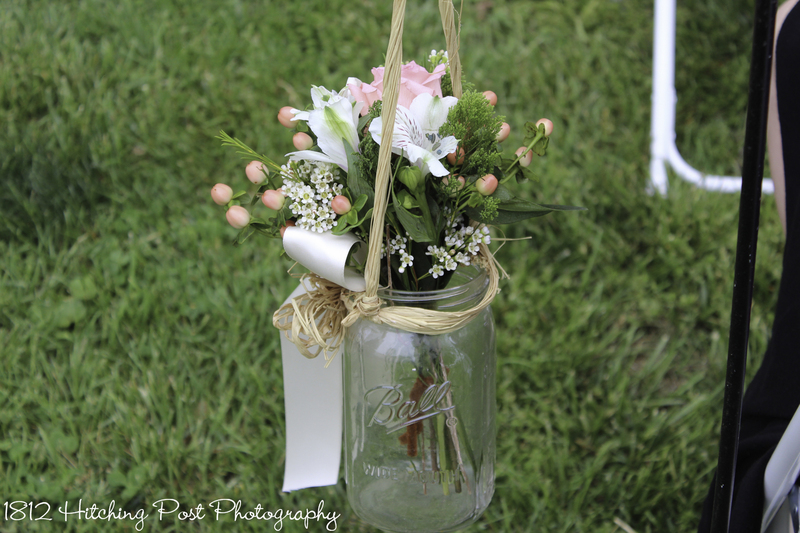 1812 Hitching Post provided aisle mason jars tied with raffia which were filled with coordinating live flowers. 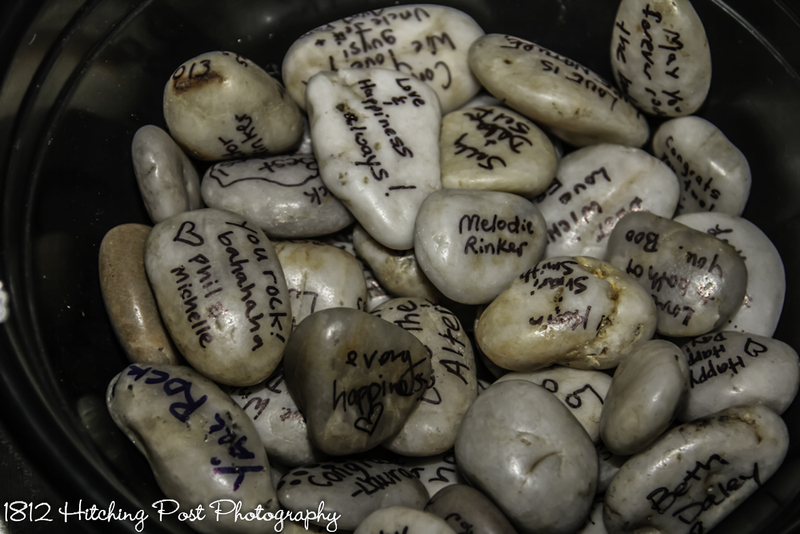 Guests signed individual stones that bride provided. 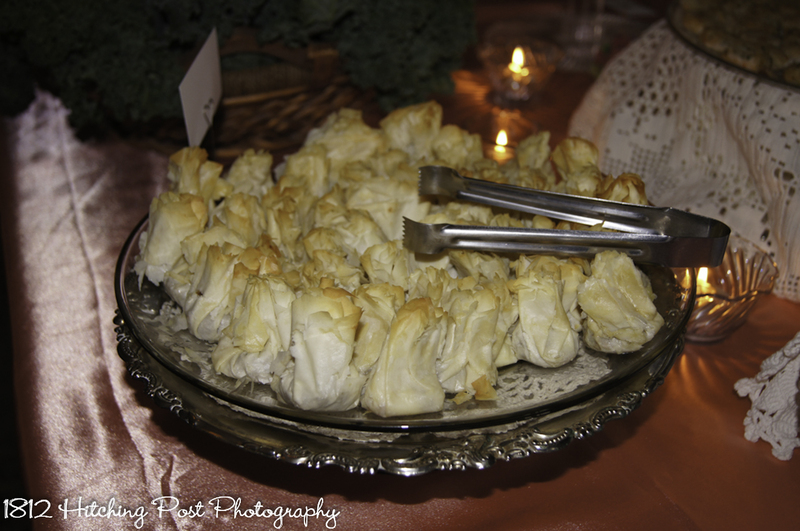 Reception: Tables were topped with coral satin overlays and/or gray napkins. 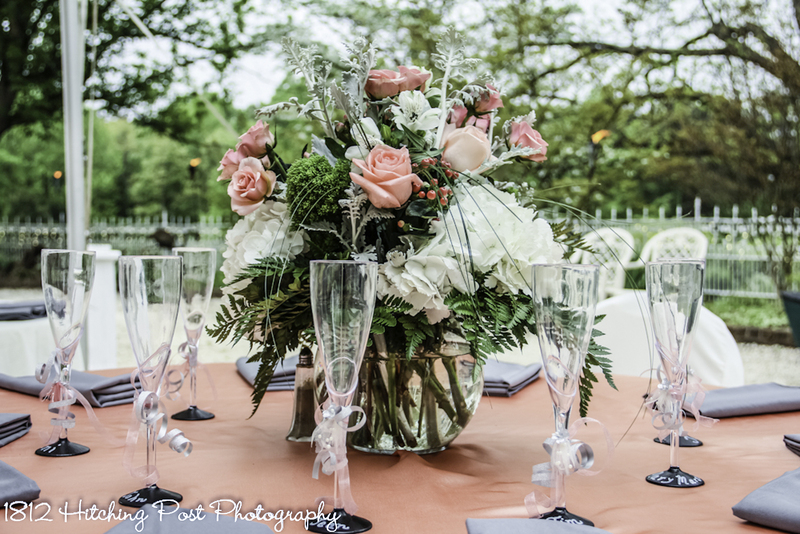 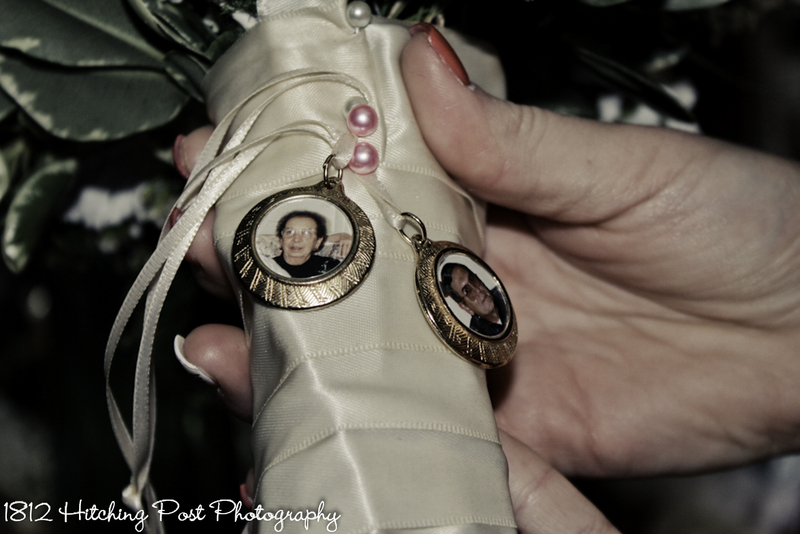 Bridal party seats were indicated with wine glasses painted with each person’s name. 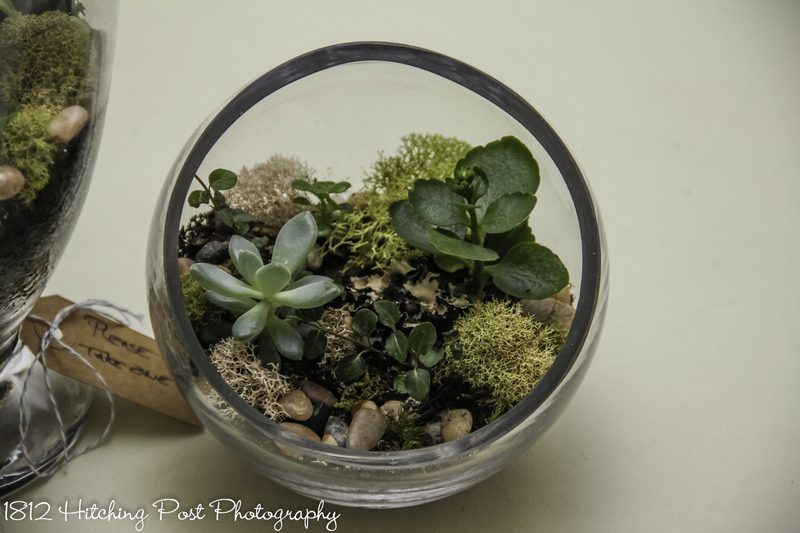 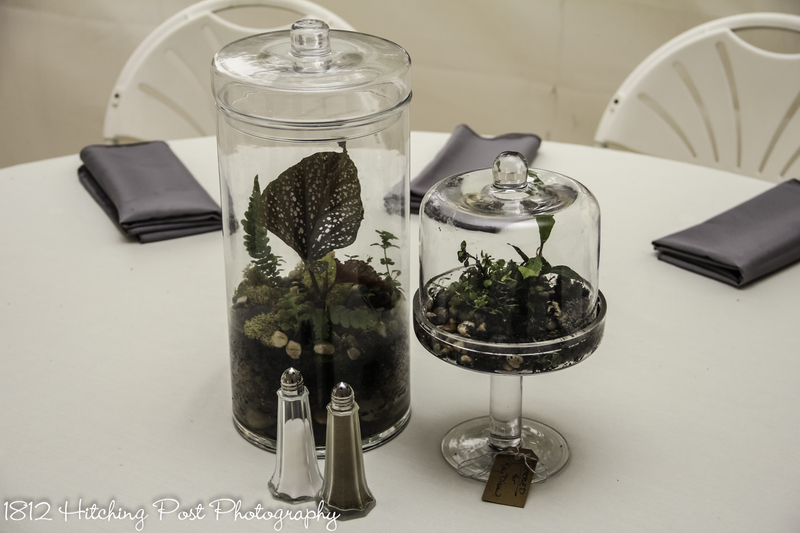 The bride provided centerpiece terrariums that were given to the guests as they were leaving. 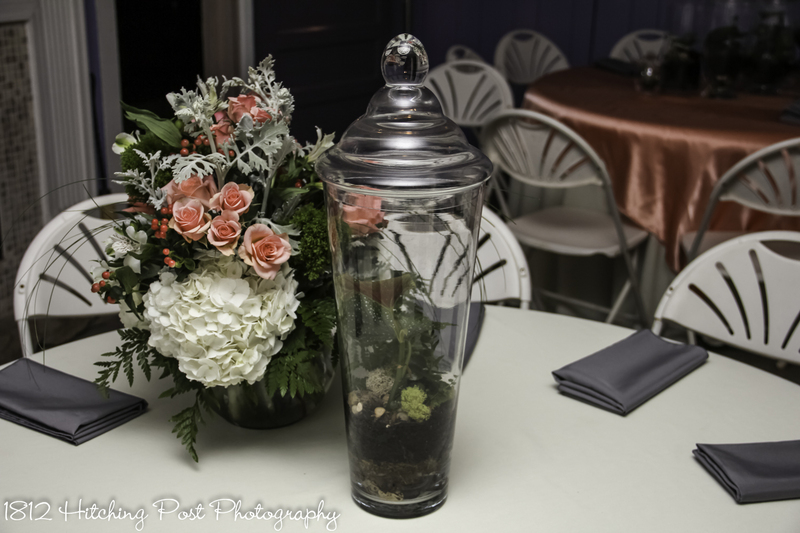 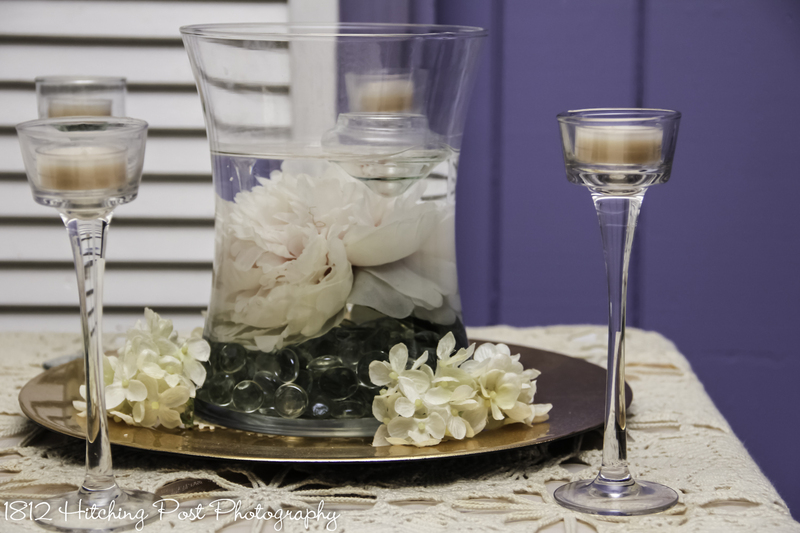 The sweetheart table had an arrangement provided by Cline’s Florist. 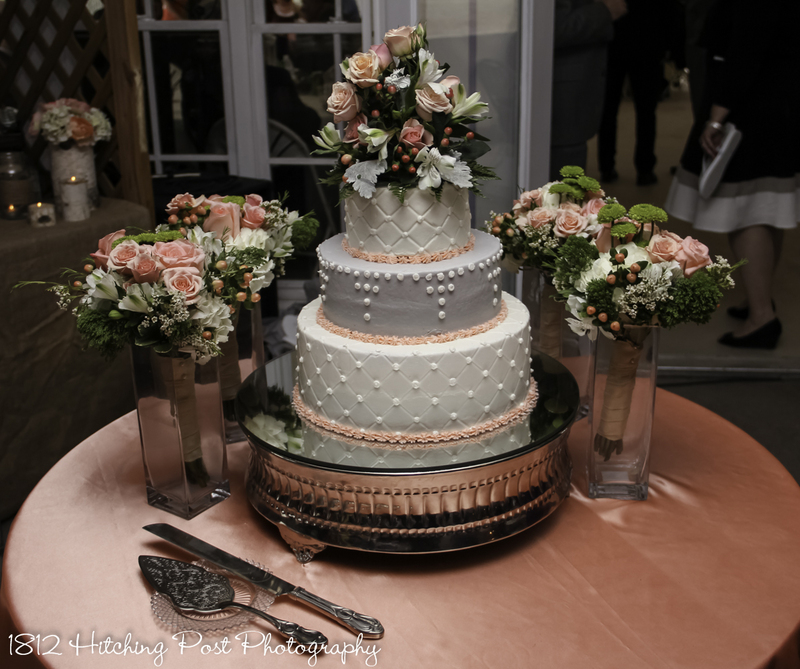 Dessert included chocolate covered strawberries, mini cheesecakes, and a gorgeous cake provided by 1812 Hitching Post with a light gray middle layer and coral accents. 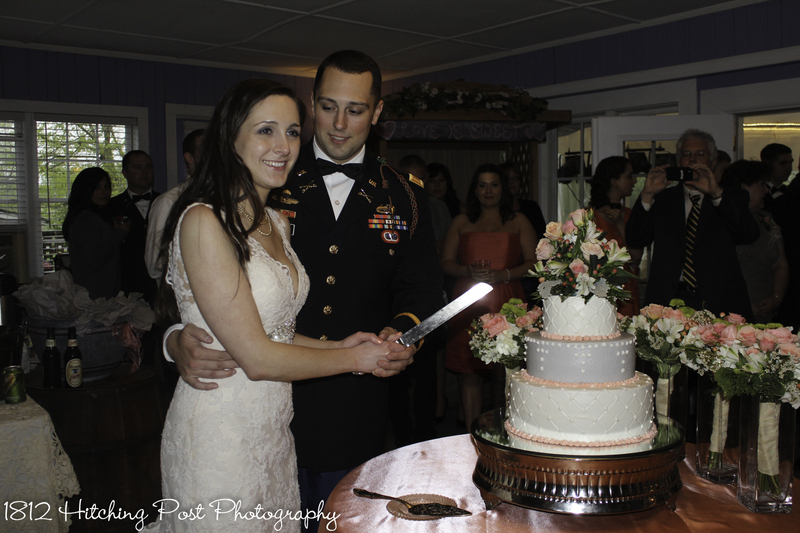 A cake topper was provided by Clines Florist. 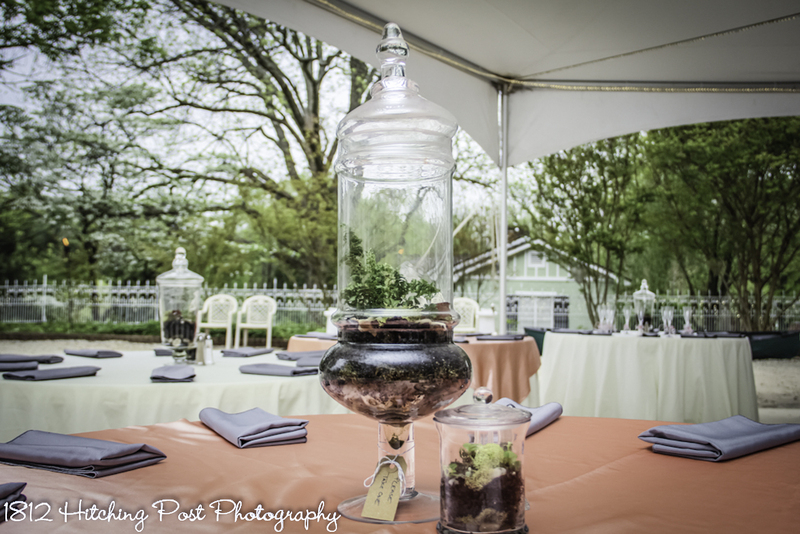 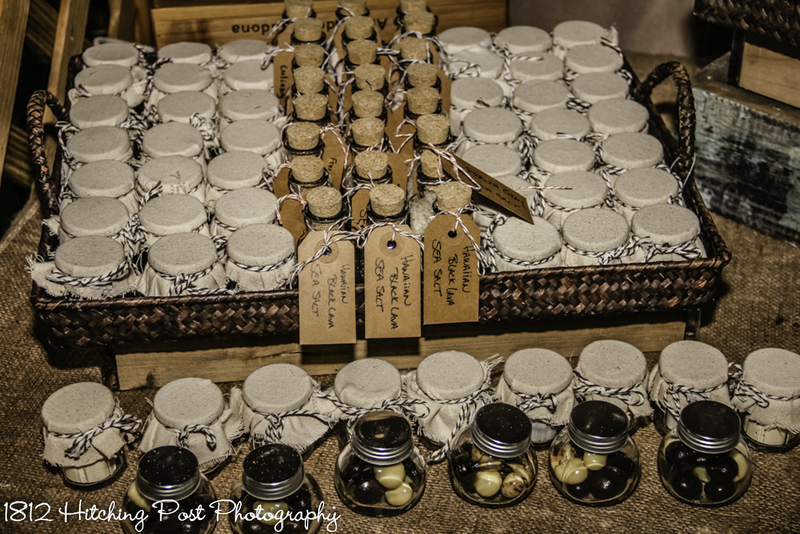 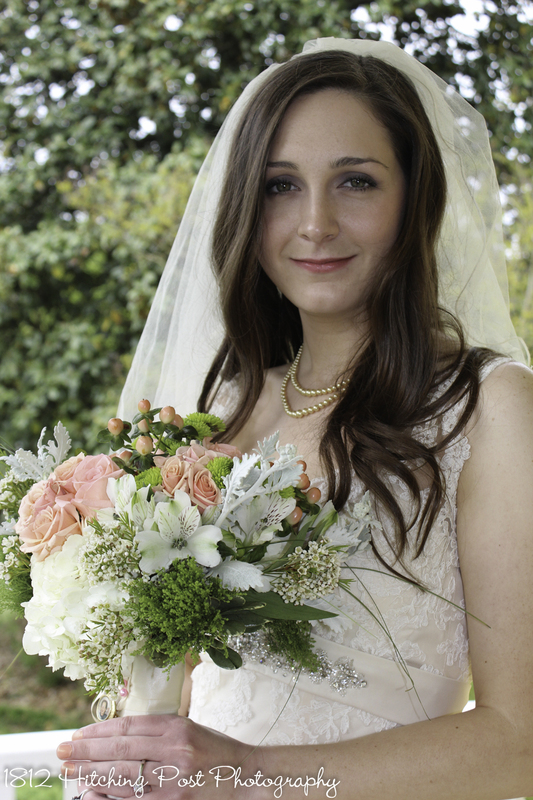 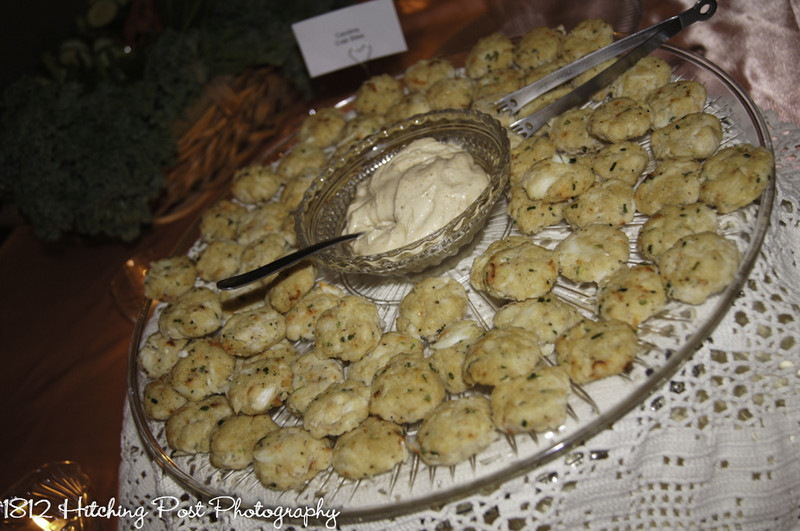 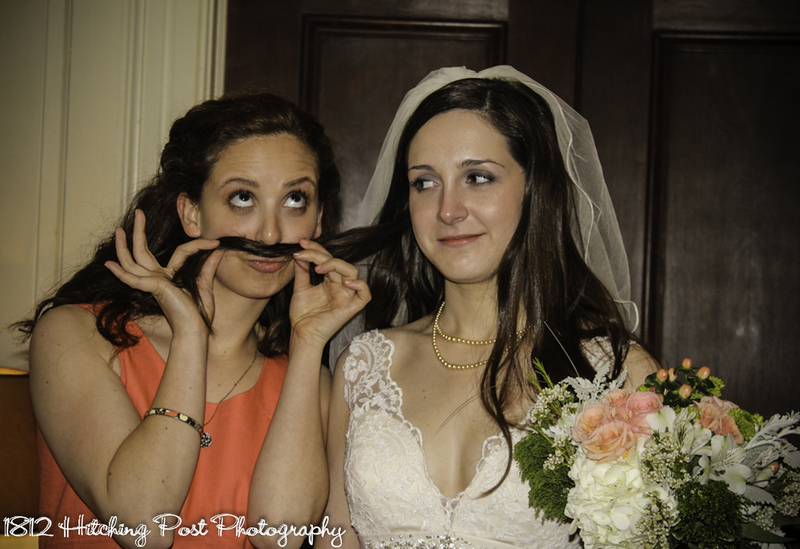 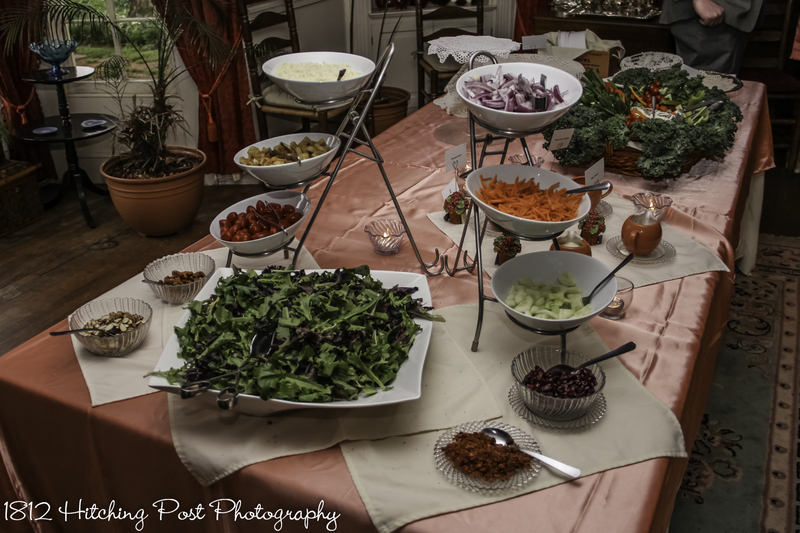 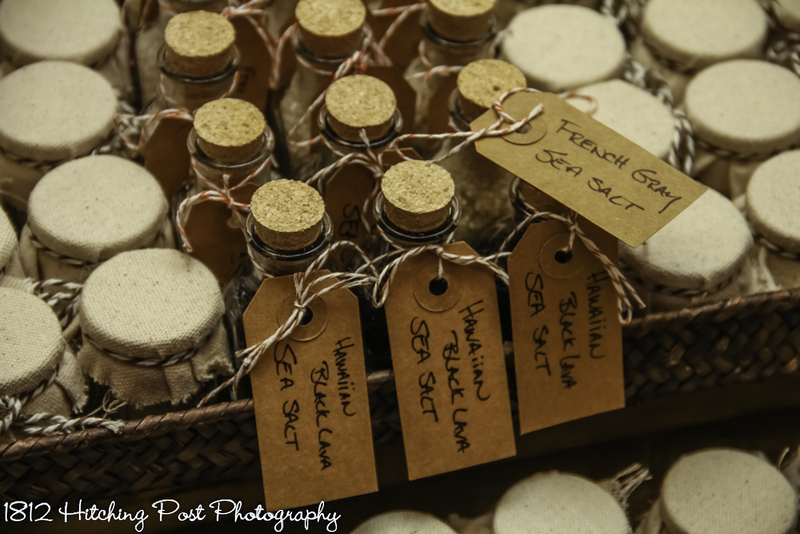 Extras: The bride provided party favors of terrariums, cheese making kits, and candy. 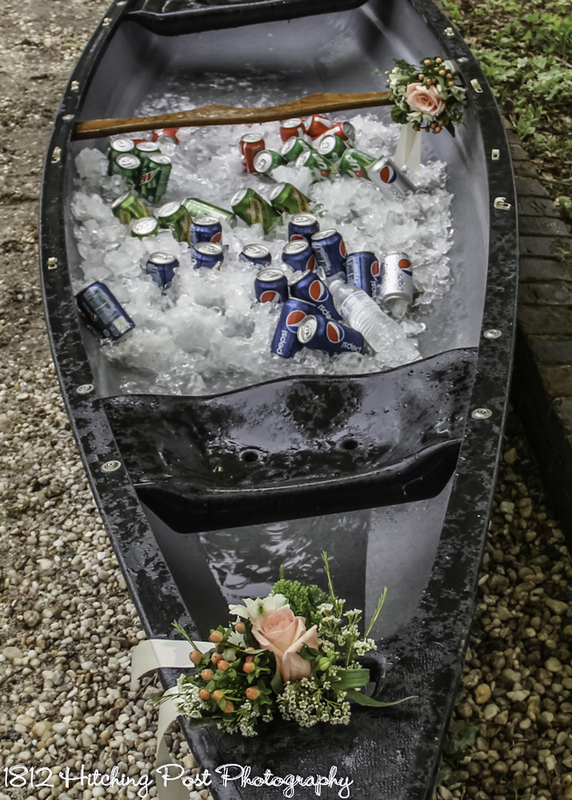 The bride also provided a canoe for sodas that we filled with ice and decorated with the flowers from the aisle. 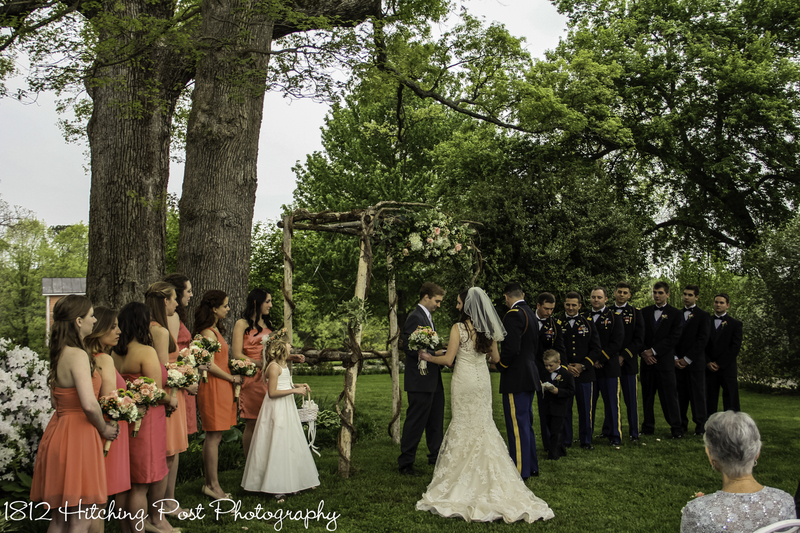 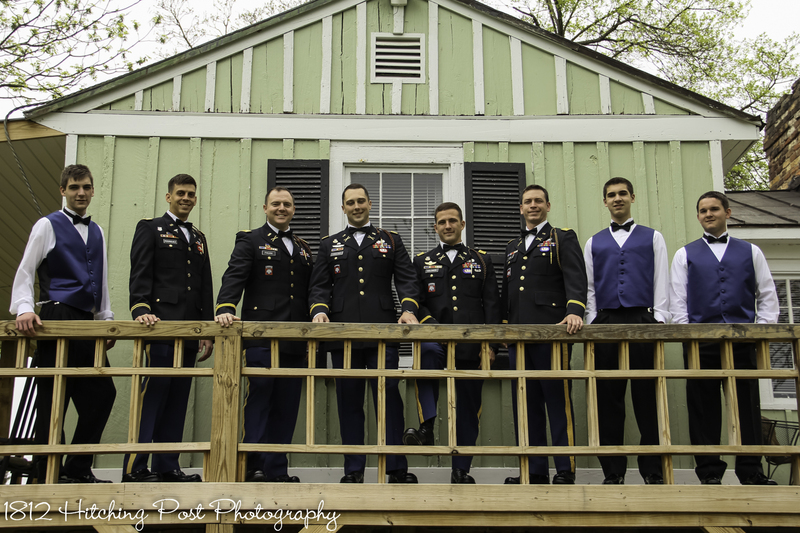 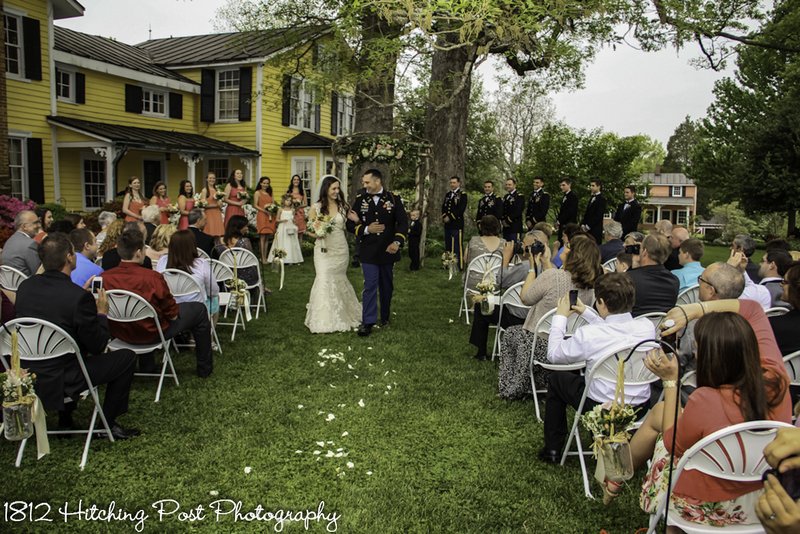 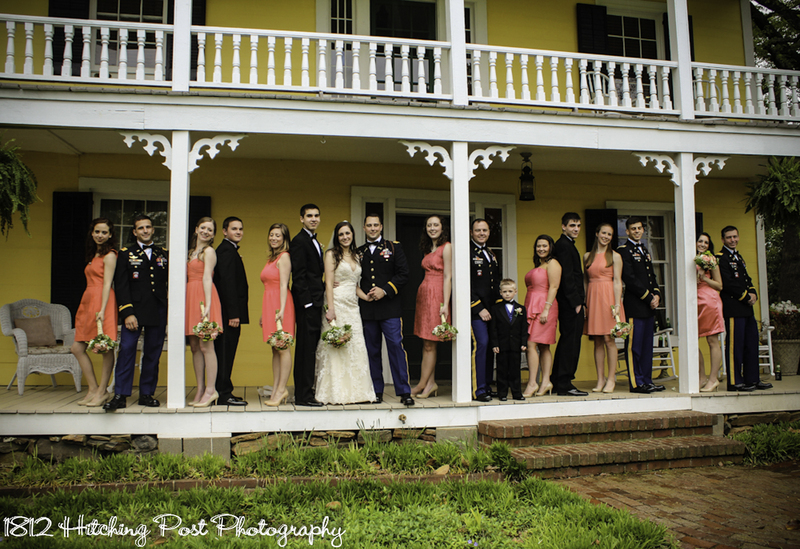 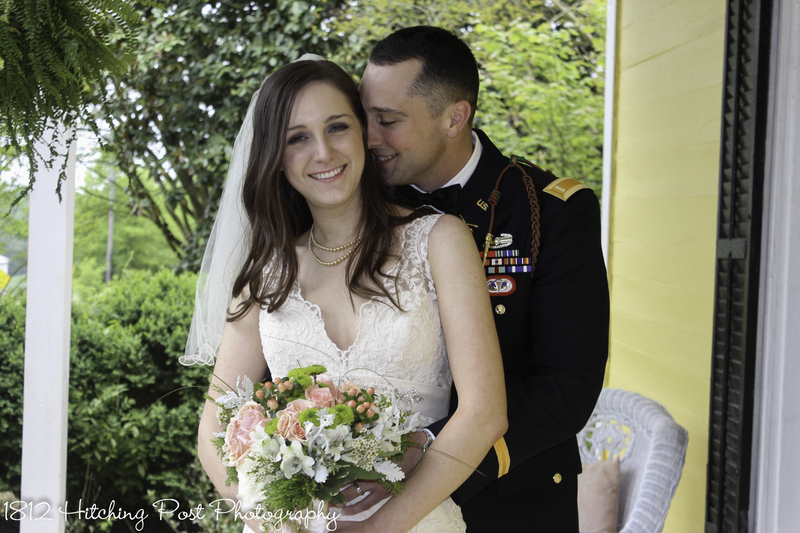 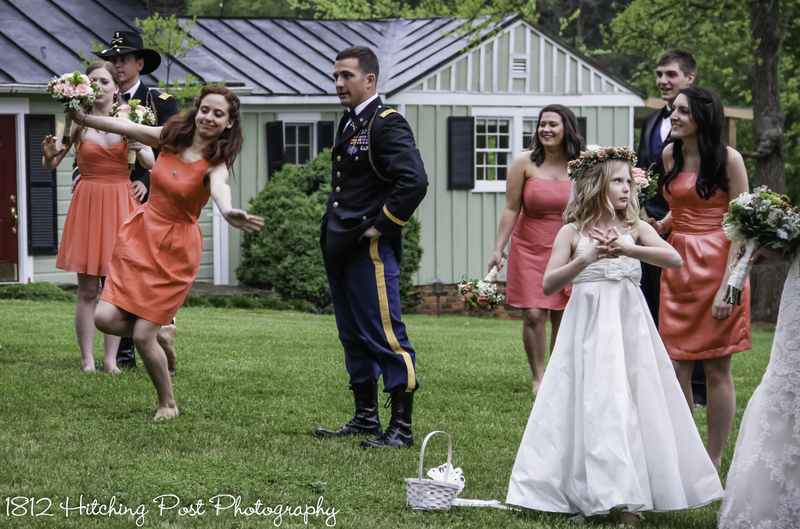 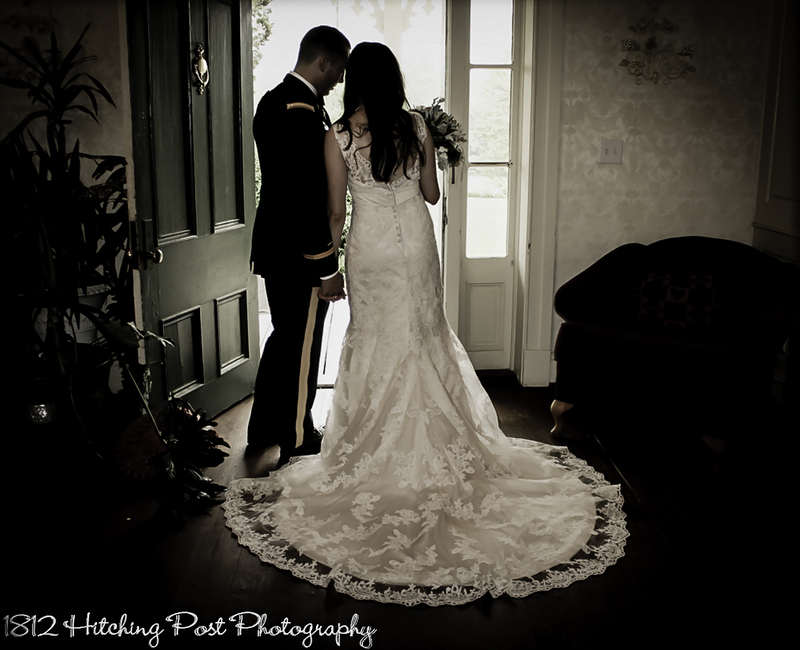 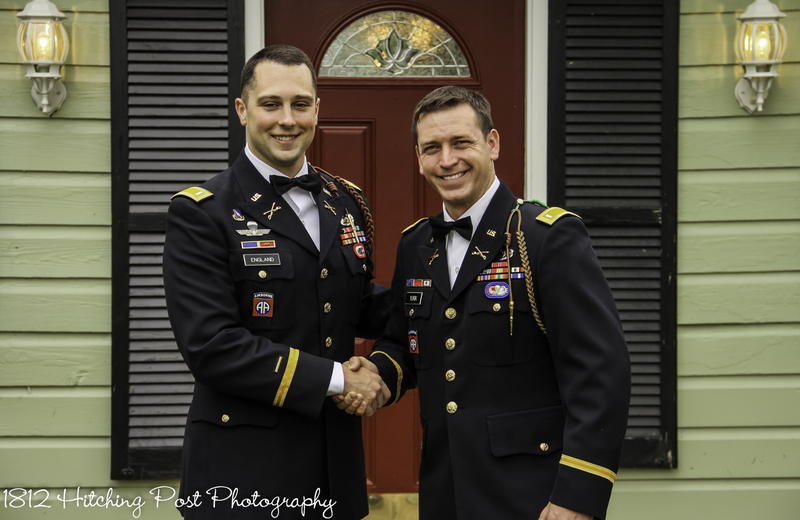 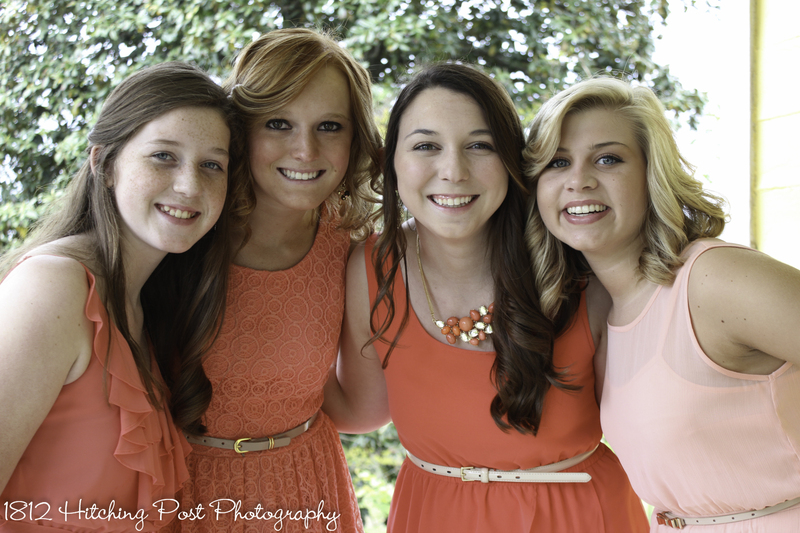 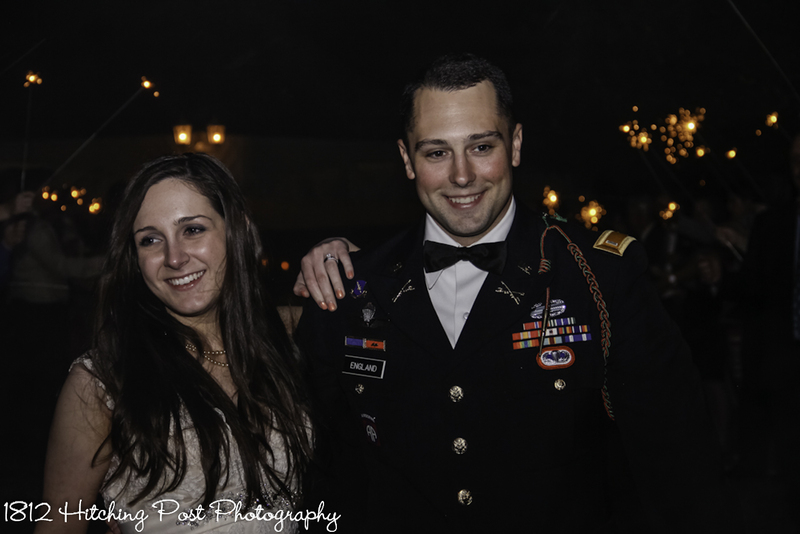 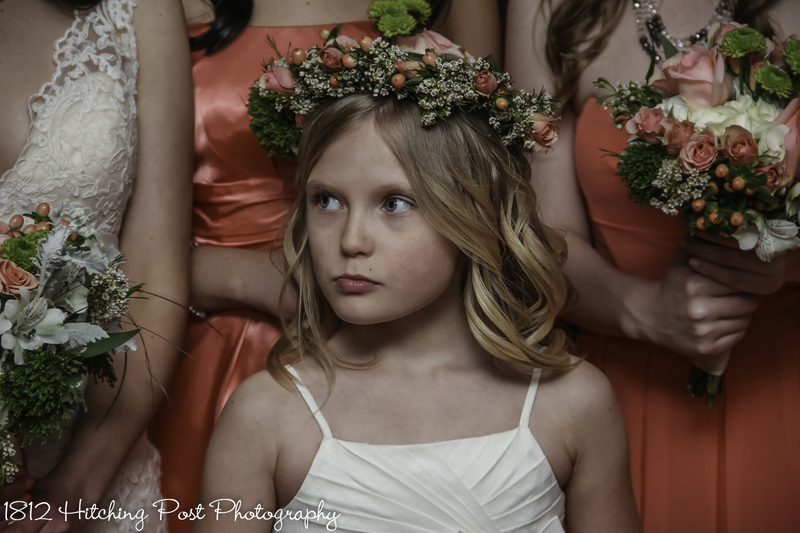 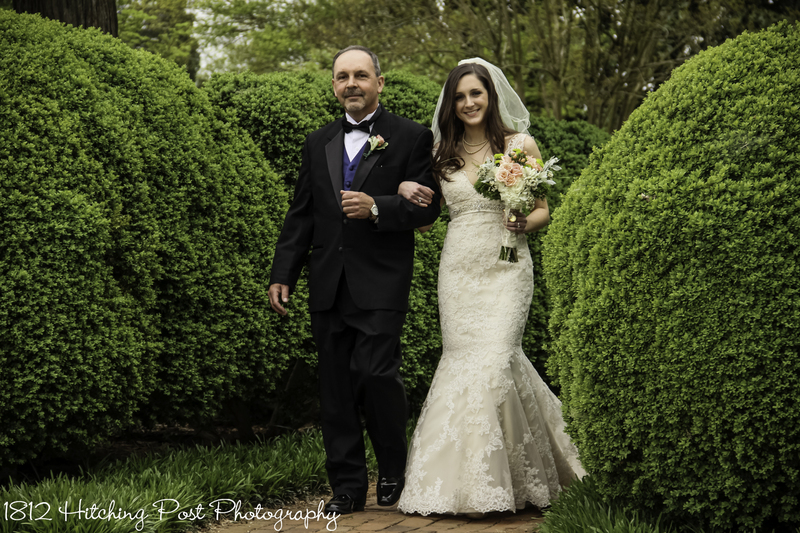 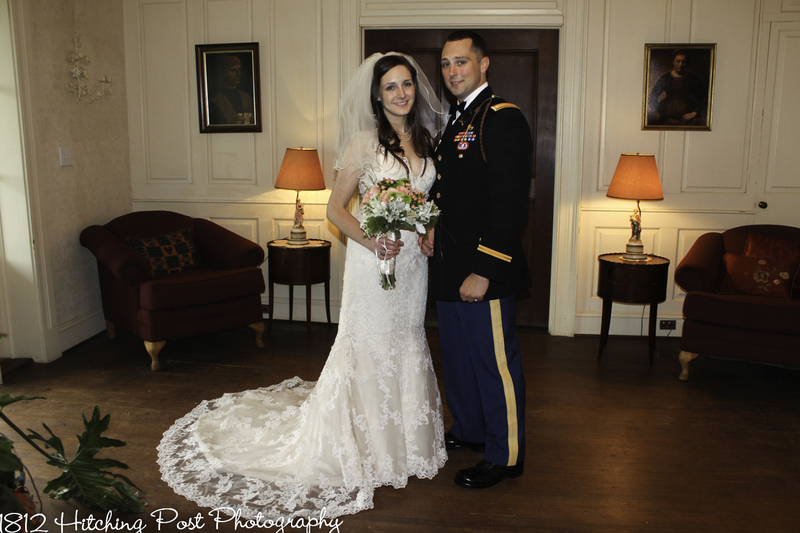 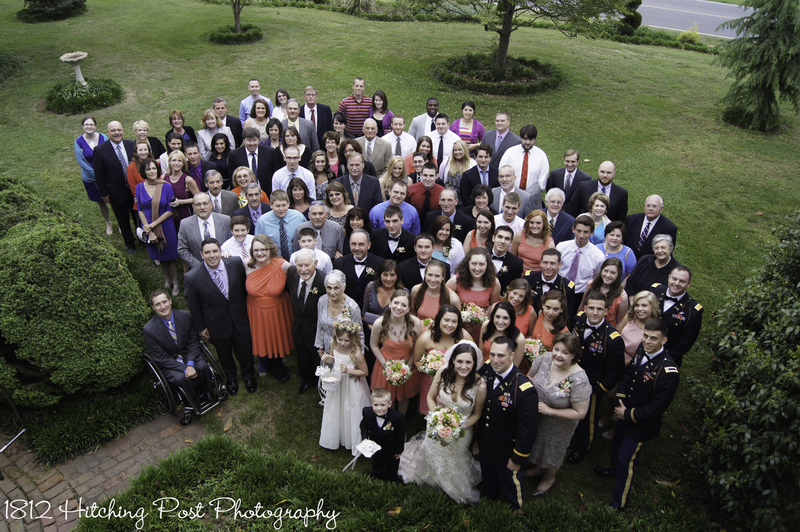 The 1812 Hitching Post provided photography and sparklers for this gorgeous Platinum wedding.